So far in our profile series we’ve focused on the people bringing your drinks to you – from bartenders crafting cocktails to sommeliers creating a wine list. But who brings the drinks to them? Those ingredients don’t just magically appear, do they? One name kept coming up over and over again – Joe Riley, fine spirits manager at Ace Beverage. I ventured up to leafy Wesley Heights (near AU) to meet him at the small but packed shop in Foxhall Square. We talked about his experiences as a fine spirits manager, and I also canvassed DC craft bartenders Owen Thompson and Derek Brown, along with cocktail enthusiast Marshall Fawley, to find out what it is about Joe that has loyal customers so buzzed. Quest ended. Just like that. I then spent about an hour in the shop listening to him weave tales of liquor lore. Not only can he find anyone anything, he seems to know about everything – a fine spirits encyclopedia, a libation historian, filled with tales of Prohibition and the Washington of old. And that’s fitting, because Ace Beverage has been a DC institution since 1934. It’s the kind of shop that’s completely dangerous for me to spend any amount of time in. It’s packed with wine and beer and spirits, oh my! Within a few minutes I’d spotted two of my favorite lust items – Bollinger Grande Annee champagne and The Kraken black spiced rum. There’s an ordered chaos that’s charming. Rather like Joe himself (the charm part, that is!). Always fascinated by what people want, I asked Joe for the most common and uncommon requests. 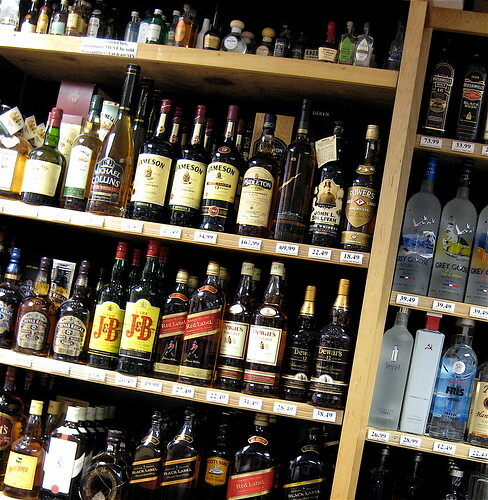 It’s no surprise that the most popular items are vodka, California chardonnay, and national brands of beer. But the craziest? The hardest to find? This is where he truly lights up. “Becherovka,” he says (whoa, I’ve got a bottle in my liquor cabinet – a gift from a Czech friend. I had no idea it was hard to get. Epic fail, so-called drinks writer! ), “Amer Picon. 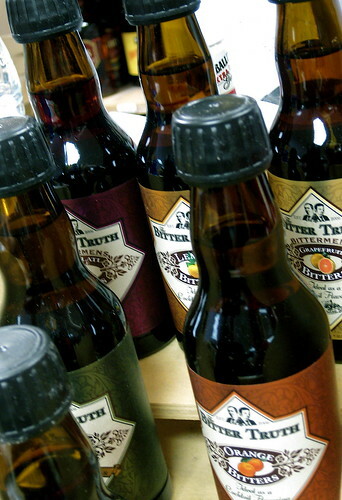 Suze liqueur.” Joe relishes the hunt for these rare apertifs, bottles of complex deliciousness. Why is it such a great market here? Joe spent some time explaining that DC is slightly outside the typical three-tier system established post-Prohibition (where your alcohol gets to you on a labored journey from the producer to a wholesaler and then the retailer, at least in states without direct government control like Virginia). So if a local wholesaler doesn’t deal with the product you want, your local liquor store can get it directly from the producer. This is possibly a post-Prohibition loophole particular to DC because of our many embassies. 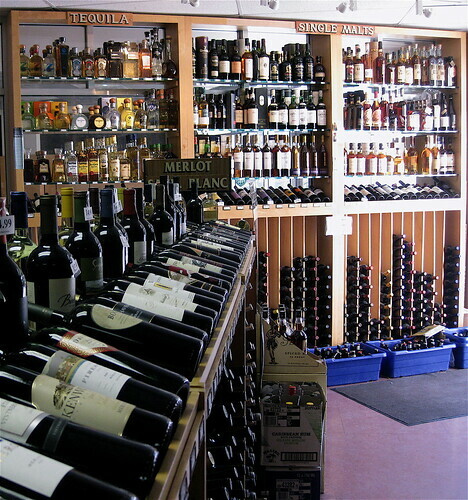 I don’t know about you, but my particular local liquor store was never very helpful on that rose liqueur search. But what sets Joe apart is his willingness to do just that. Indeed, the challenge is what drives him. And this zest is what makes him so beloved by the drinks community. This is the kind of effort that’s behind your drinks. Not to mention the effort behind the parties and events you attend – Joe does an enormous amount of catering orders, dealing with DC’s crazy licensing laws and so forth. Joe’s knowledge of fine spirits came through clearly talking to him. He manages to pack in an enormous amount of information without coming across as pedantic or arrogant. Many times people go into liquor stores and freeze up, finding themselves unable to ask for help and just grabbing a bottle of the shelf. It’s kind of like the fear that strikes people when the sommelier comes to your table and you just stab at a wine hoping not to be made a fool of… but as we’ve seen over the course of this series, it doesn’t have to be that way! 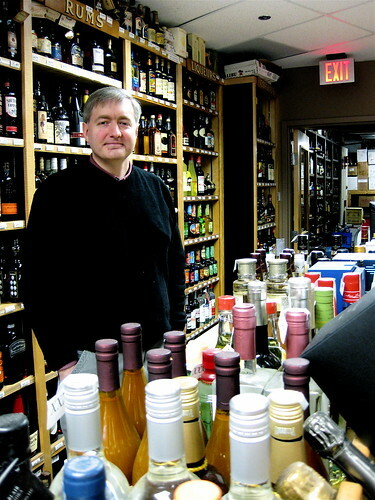 Joe makes a dense liquor world very accessible, and that dedication to customer service is extremely valuable. Many thanks to Joe Riley, the folks at Ace Beverage, Derek Brown, Marshall Fawley and Owen Thompson, for all their help. I met Joe at a tasting at Room 11, and I’ve got an Ace Beverage business card sitting around here for the next time I’m looking for some liquid unobtanium or other. And FWIW, Becherovka was in stock at Cleveland Park Wines the day a friend of mine asked me about it. I don’t know if it’s a regular stock item for them or the result of a special order, though. And yes, I proudly wear my cocktail geek flag. Joe is an American hero, but Jenn, how could you not mention that the Passenger created a cocktail called the Joe Riley? I’m eager to try it. Love JOE! I have worked with him on numerous events over the last four years and he is amazing. If you ever need a restaurant/bar recommendation he is your guy. All around ACE is a great D.C. business and I will continue to use them for years to come! Great article.